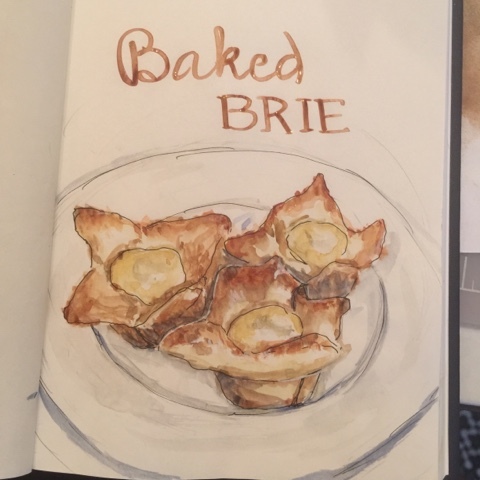 Art By Yukari: Baked Brie and More..
Are you ready for some football? "What? ", you might be saying.. What does baked Brie have to do with football? If you follow the NFL, you'd know that the conference championship games will be held this coming weekend. The AFC Championship will feature the New England Patriots, our family's team and the NFC Championship will feature our home state, Arizona Cardinals. So for my boys and me, we will be glued to the TV. But the girls, not so much. I'm thinking that if I want to see my girls at all on Sunday, I'd have to get creative with football snacks. Boys would be happy with chips and salsa or wings. But my girls need more than that to entice them downstairs. That's where the baked Brie comes in. I have made baked Brie before wrapt the entire wheel of Brue in puff pastry and bake. But I'm thinking that individual pastry cups with Brie and topped with various things might be more conducive to football watching. Brie has such a mild nutty taste, it would be great with sweet or savory toppings. I'm thinking maple glazed bacon crumbs, olive tapenade, macerated berries, candied nuts.. Yummy! At least I'll get to see my girls for a few minutes of preparation and eating. Lol. I am taking a Craftsy Online class called "Liminous Watercolor Mixing" with Kateri Ewing. She shows how to use a limited palette to create color harmonies in your painting. And though she has me creating color mixing charts and other charts that I've already done, she provides me with more insight about using those color combinations. You may know that on last Black Friday, I purchased a couple of watercolor sets, one with 24 colors and another with 30. And I love color but using these colors sometimes produce disjointed results when colors clash or one color stands out too much. So the theory here is that if you mix your own colors with a limited palette, all your colors will coordinate. So I've been trying this concept out. You've already seen my MLK painting which was done with two colors. 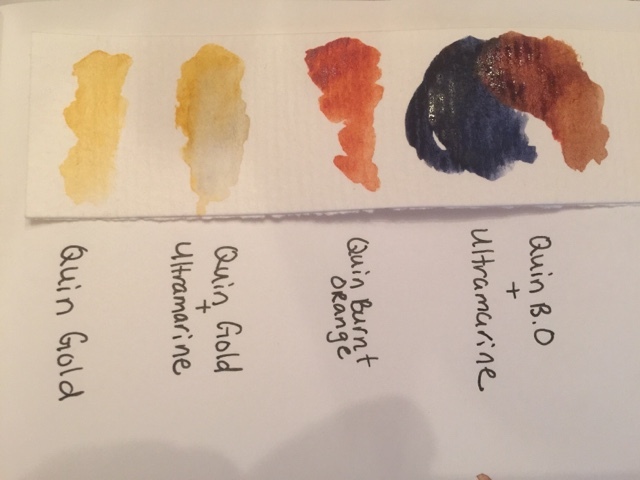 For today's painting, I used Quinacridone gold, quinacridone burnt orange and ultramarine blue, all by Daniel Smith. For this, I used Pyrrole scarlet, phthalo blue and new gamboge (yellow). I think having a limited palette trains you to learn what color combinations work so that if I pick up another color, I will be able to think about what colors produced it and use those colors in conjunction to create a more harmonious painting. The key here is to practice mixing colors so that it will become more intuitive when I want to match a color. And for me, the browns are always difficult to coordinate, like in the puff pastry so having the tools to create various shades of browns is really cool. So, do you have a favorite game-day treat? Hi Angelcake! My favorite game-day treat? Shutting myself up in my room with a good book :). Loathe football or any other sport with or without balls (nope, won't go there). I'm cleaning my oven today. It's gross! I wish I could just blow it up and start over with a new one. Self cleaning my sweet patootie! You at least have a wonderful talent or two to occupy your time *sigh*. Hi Deedles! Sorry I haven't been responsive to your comments. I think my anti-social tendency gets the best of me sometimes. I've watched sports all my life and enjoy it. Not why I comment, Ms Kari. My anti-social tendencies get the best of me MOST of the time! I've tried to keep baking thru the gunk but the smoke got the best of me in the end. Now I really want to eat brie and clean my oven! 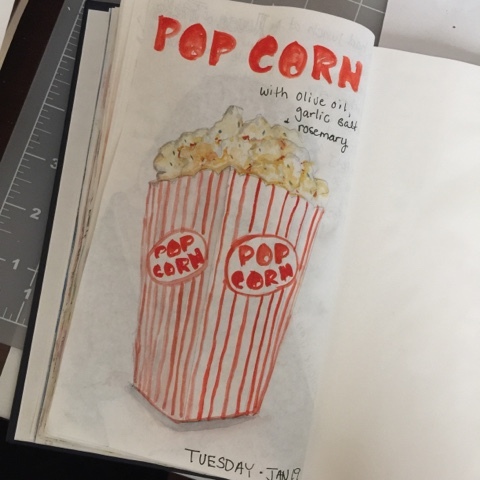 :) Your food illustrations would be so cool featured in a cookbook or on notecards, Kari.